Over the past few years, we have been recognized for our efforts and commitment to excellence by our friends at United Fire Group, not once, but twice since our initial association in 2014. During a company sponsored cruise hosted by United Fire, we were named Agency of the Year, which is awarded based on several measurable benchmarks including loss ratio, written premium, growth, and new business. 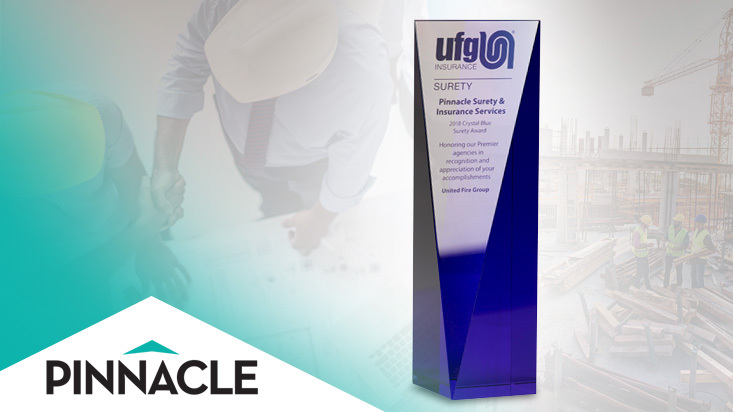 In addition to receiving the 2017 Agency of the Year, Pinnacle Surety also joined UFG’s Crystal Blue Award group for 2017 which is given to UFG’s largest agencies based on written premium for the year. Pinnacle is beyond honored and thrilled to have received these awards and recognition by our partners at United Fire Group and look forward to setting the bar even higher for 2019.